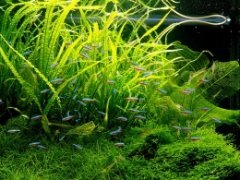 Going along with our recent post on how you can "green" up your planted aquarium, according to Practical Fishkeeping, you will soon be able to purchase sustainably harvested aquarium fish in the UK. 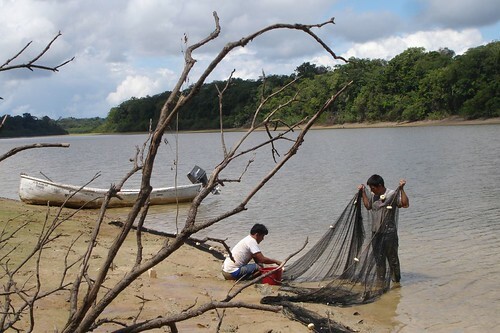 Called Project Mamiraua and based in Brazil, the project aims to "ensure the long-term protection of fish diversity within the reserve by encouraging the local communities to act as 'custodians of the forest'." I have a feeling we'll be seeing a lot more of sustainably harvested fish in the future, since many developing countries have realized that over harvesting fisheries, which causes them to collapse, basically wipes out an important source of income. Take the Galaxy Rasbora for example. Paying a little extra for fish wouldn't really bother me either if I knew they were sustainably caught. What about you? Would you pay a little extra for sustainably caught wild fish? I have a question related to the cultivation of glossostigma. 4 months ago I planted it in my tank. About three weeks later glossostigma got red leaves. Do you have ever heard of this? Finally, the tank is illuminated with 0.7W/l.